Another problem has been retailer compatibility. Two U.S. holdouts -- Target and Taco Bell -- recently caved, but chains like Walmart are still resistant. I guess it's not a large country but the Czech Republic must be in the top few countries in Europe for contactless payments. The country went from a totally backwards system of only cash and you had to have exact change, to chip and PIN to contactless almost over night. And retailers seem to understand the etiquette of contactless too - so often in other countries the retailer takes the card, which isn't exactly what I would call contactless. And yet mobile payments don't seem to have taken off at all. Apple isn't very big anyway but I hardly ever see anyone using Android Pay or the various bank-own versions. There just doesn't seem to be a big need for it if you don't have a payment-enabled watch. Interesting...I was there just few days ago and I didn’t know Apple Pay has not launch in the country. 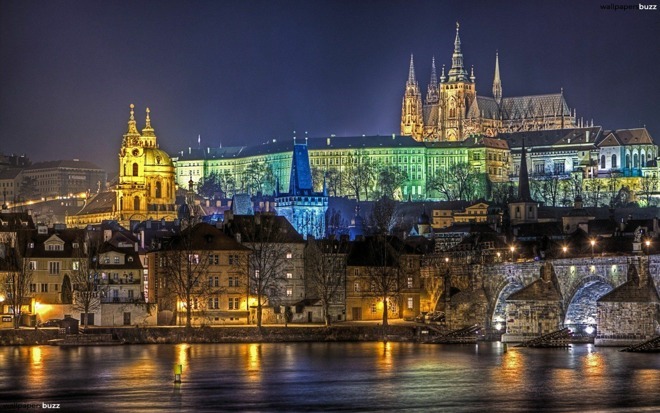 I have been able to use throughout the entire few days stay, dine, shop at Prague (Praha). Now I see why the cashiers look puzzled when I show them my Apple Watch displaying credit card. A compliment to the people of Czech...At the least they have not displayed any resistance or irritation to accept Apple Pay (via Apple Watch). They outright points me to where the terminal is or stretch out their terminal (portable ones at dining places) to allow ease of placing my watch over it. I must say it’s one of the best mobile payment experiences I have in a country. In some countries, they are just outright resistance to change and will comment such as ‘doubt it will work’, or ‘do u have the card’. In Vienna, one restaurant’s staff even look puzzled as though wanting to speak up (but thankfully didn’t) and when the payment went through, another staff besides asked if that’s from Apple. Grocery shopping in either Czech or Austria and the cashier actually made a conversation with me about Apple Pay/Watch which I responded on how grateful I am of having it cause I am all dressed up for the cold weather and having hands tied (backpack, packing purchases away into grocery bag), it’s cumbersome and slowing down the long queue if I have to physically take my wallet out and credit card out just to make a payment. She agrees how convenient it is too. You are forgetting a small country called Netherlands, where banks are resisting ApplePay.